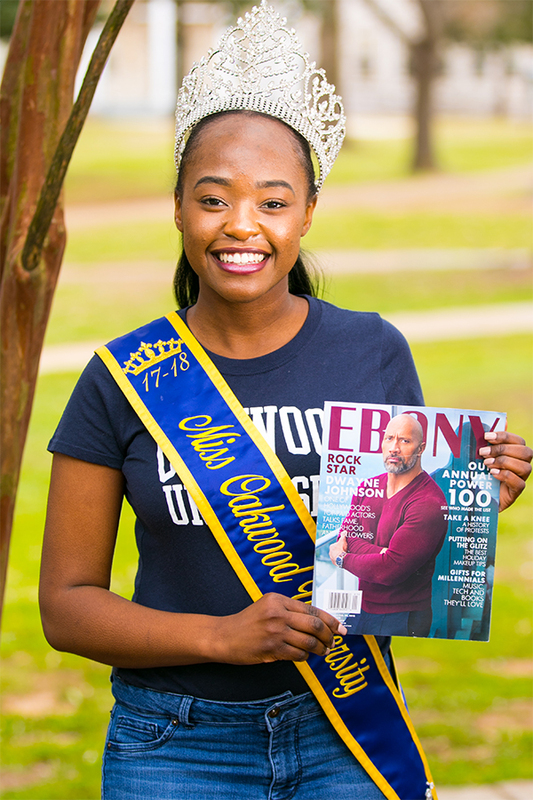 Here they are: the winners of our 2018 EBONY HBCU Campus Queens online competition. Our Top 10 are the epitome of beauty, grace, sophistication, charm and intelligence. A total of 67, 526 people cast 1,560,288 votes for their favorite Queen, and we think you will agree that this year’s representatives possess an awareness of the issues and are resolute about obtaining their goals. They will inspire, dazzle and make you proud. Without further delay, we present our Queens. Growing up, I would always anticipate walking into my parent’s living room to find an EBONY magazine on the coffee table, where some pages were creased due to the self-made bookmark created by my mother. I would quickly turn to those pages to resolve my intuitions about what type of articles captured my mother’s attention, or what’s the next recipe she would be stirring up, yet at the same time, I was captivated by so many faces who looked like me - black and brown women from cover to cover. Now that I recall, some of the creased pages were also of her favorite perfume fragrances, which I believe was a soft hint for my father to know what to purchase for her as a gift for whatever holiday was quickly approaching. Fast-forward, 15 years later, I would have never imagined that I am one month shy of walking into not just my parent’s living room, but bookstores, airports, grocery outlets, and other places like doctor’s offices and newsstands all around the nation - I will not just see people who look like me, but I will actually see me! 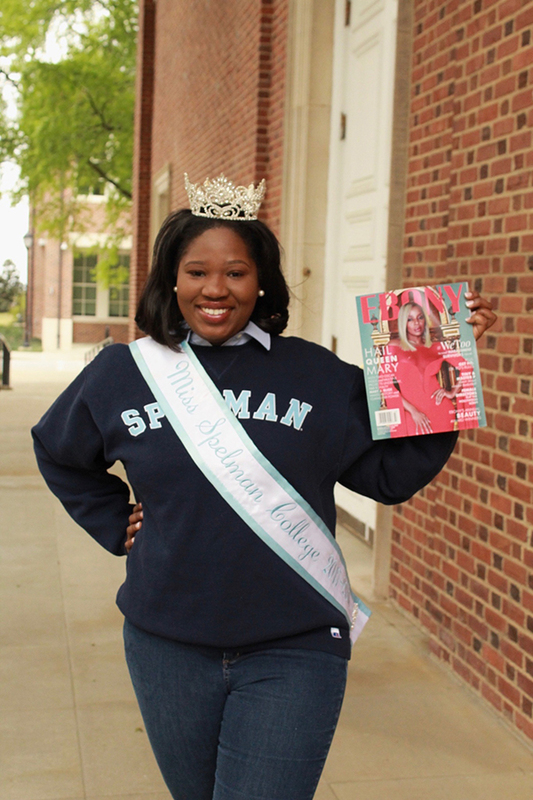 Miss Elizabeth City State University - WOW! 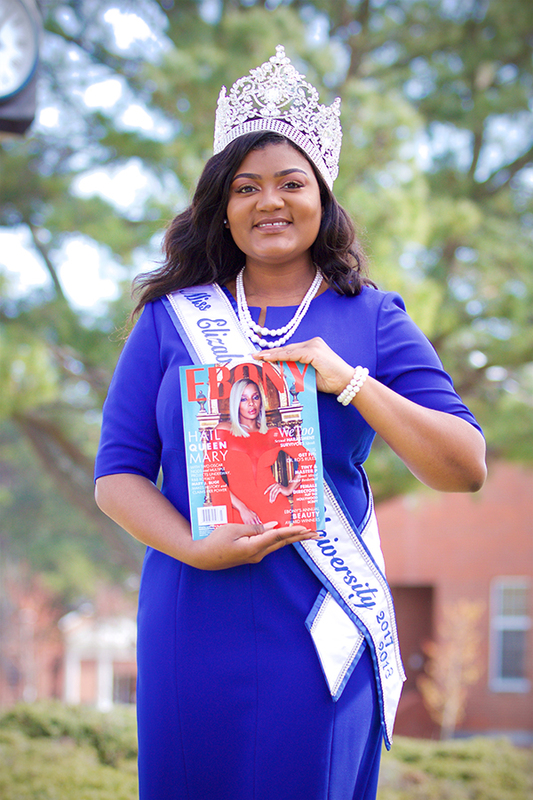 I am grateful for the opportunity to be selected by EBONY as one of the Top 10 HBCU Queens. This is a dream come true. More so, it is a reality - a humble one that I take seriously. Thank you, EBONY for choosing me! Thank you, EBONY for celebrating women of color!!! Gracias! Merci! Xie’ Xie! Thank you! In any language, my appreciation as winner of the 2018 HBCU Campus Queens Competition. 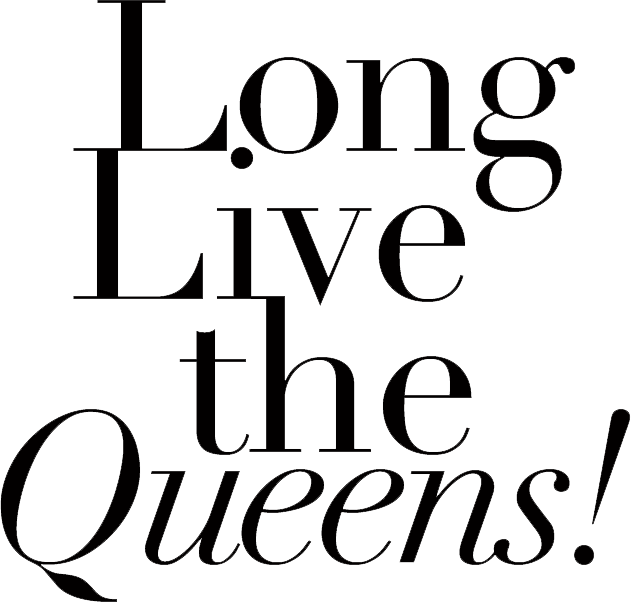 The opportunity to be named a campus queen is exciting and extremely rewarding. 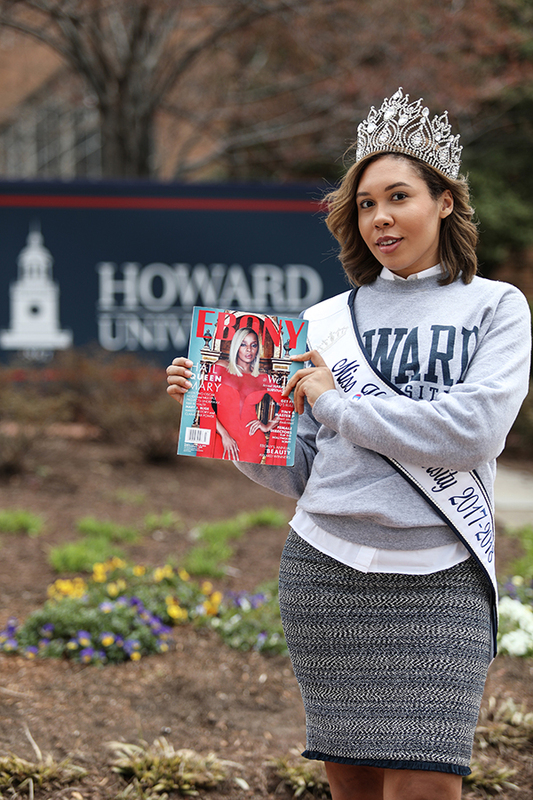 My enthusiasm to be a Campus Queen is a result of seeing past Howard Queens support their school in Ebony Magazine and I wish to continue the legacy for future queens. The culmination of my experiences and knowledge I have gained in my short time at Howard encourages me to be a model for other young girls who may be reading this magazine. I have learned that true leadership begins with servanthood. Therefore, I plan to be innovative in my approach to inspire others on my platform of Women’s Empowerment. Thank you kindly for allowing me to be apart of this marvelous opportunity. 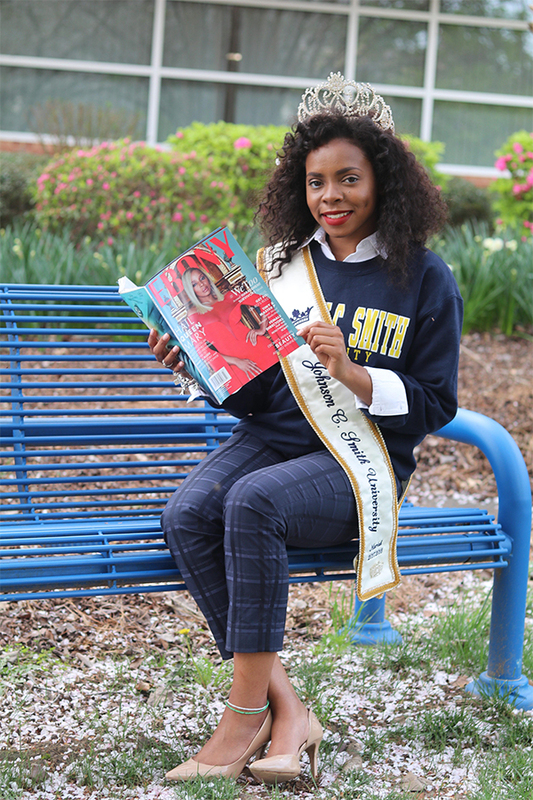 I have been able to leave a legacy on Johnson C. Smiths campus as an Ebony HBCU campus Queen, while promoting my illustrious institution and what it takes to be a HBCU queen. Over many years Ebony Magazine has promoted black excellence by showcasing African American women excelling within their community, making it an honor to serve as an Ebony Queen. 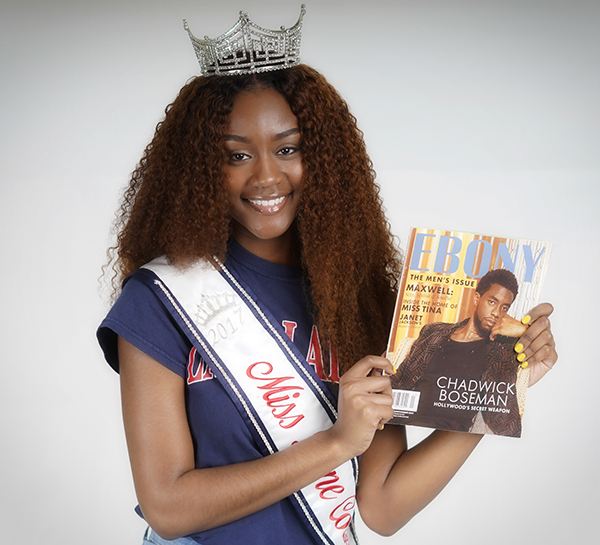 Thank You EBONY Magazine for providing a platform for HBCU Campus Queens all over the country. Honoring collegiate Black women who have demonstrated the ability to inspire, lead and give back to their communities. Before my reign as Miss Lane College was complete, I was determined to accomplish one more thing. Which was to become an EBONY HBCU Campus Queen! With the help of God, family, friends, and my beloved Lane College. We were able to turn a dream into a reality. I am proud to say that I will be the first Miss Lane College to be a TOP 10 EBONY HBCU Campus Queen! Truly humbled by this honor, I will treasure this moment for a lifetime. Thank You so much EBONY! “A dream doesn’t become reality through magic; it takes determination and hard work.” – Colin Powell. Thank you Ebony for granting me the opportunity to grace the pages of Ebony magazine. 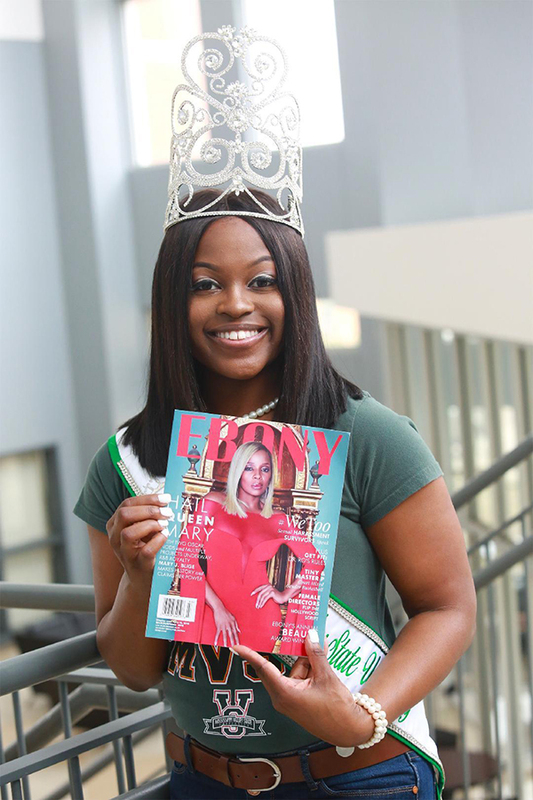 It is indeed an honor to represent my HBCU, Mississippi Valley State University while exemplifying poise, grace, class, intelligence, leadership, and philanthropy. I am elated as to what serving as EBONY’s Top 10 HBCU Campus Queen will bring this year. Again, thank you and it is my pleasure to be amongst the pages of Ebony magazine. With warmest thanks, thank you Ebony Magazine! Words cannot express the gratitude that I have for the opportunity that you've not only provided me, but also the plethora of students that have been inspired by this program. In addition, I want to thank you for challenging us Queens to exercise our leadership and work day and night with our student bodies to accomplish this task. Never did I think that an accomplishment as this would be apart of my story. However, here I stand as one of the Top 10 Queens in the Ebony Magazine Competition. The overwhelming impact has given me confidence as I continue to empower the women in our institution. So again, thank you Ebony for the contributions that you have placed on Historically Black Colleges and Universities but also the African-American community at large. 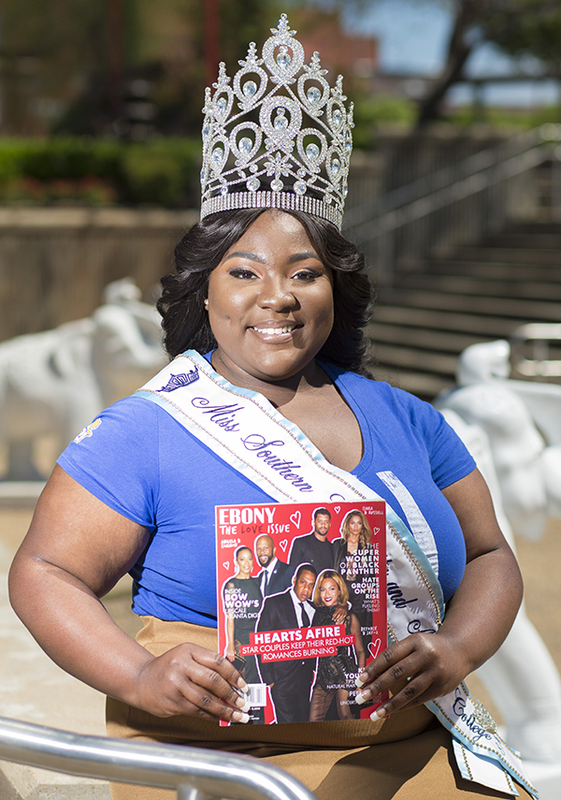 I would like to extend a heartfelt thank you to Ebony Magazine, my tiger family, hometown, and supporters for voting me as an Top 10 HBCU CAMPUS QUEEN! It is such an honor to serve not only my tiger family but to set an example to the young girls looking up to me. Living my dream as Miss SSU would not have happened without the support, motivation, and inspiration from you all! This recognition is not about me but about my university and exemplifying what it means to be an HBCU student with a dream for succeeding in life. Again, thank you for voting! I just want to take the time out to first thank God for making me the 87th Miss Southern University and A&M College. Secondly, I would like to thank EBONY for valuing the Queens of HBCU’s enough to feature us in their magazine, and lastly my supporters because I could not have done this without you. My heart is filled with joy and gratitude that I will be able to serve as an Ebony HBCU Campus Queen. My reign has been nothing short of exceptional and I am thankful to have had the opportunity to represent one of the best HBCU’s. I cannot thank you all enough for the love, encouragement, and support throughout my reign. We were all born kings and queens it doesn’t take a physical crown to make you a king or queen. My reign will be everlasting because electricity travels and you will always feel me in your heart. I would like to take this time to thank Ebony Magazine for this amazing opportunity. Ebony is known for African American empowerment and I’m extremely honored to be a part of history. 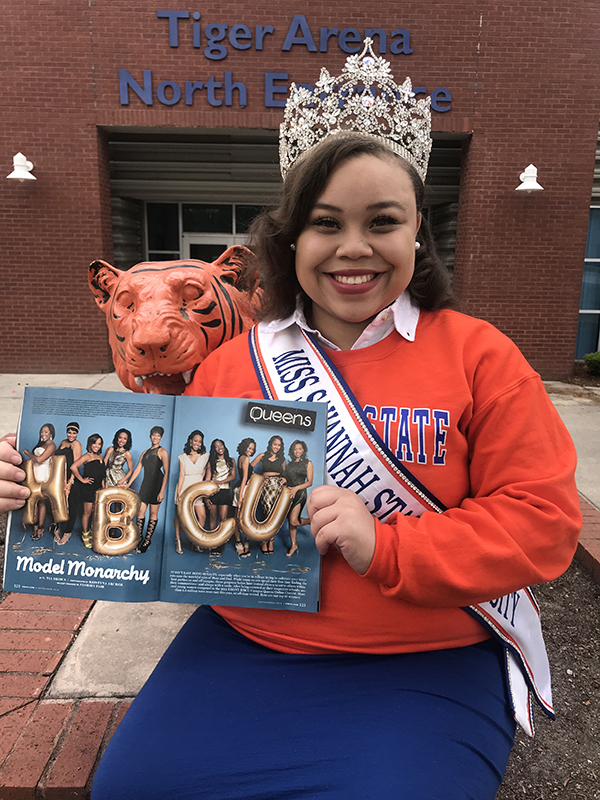 I admire the way Ebony Magazine highlights young, powerful, intelligent black women every year by featuring these collegiate ambassadors as the Top Ten HBCU Campus Queens. I am immensely humbled by this experience. I also would like to thank my family, friends, and supporters that voted for me to become one of the Ebony Top Ten HBCU Campus Queens. 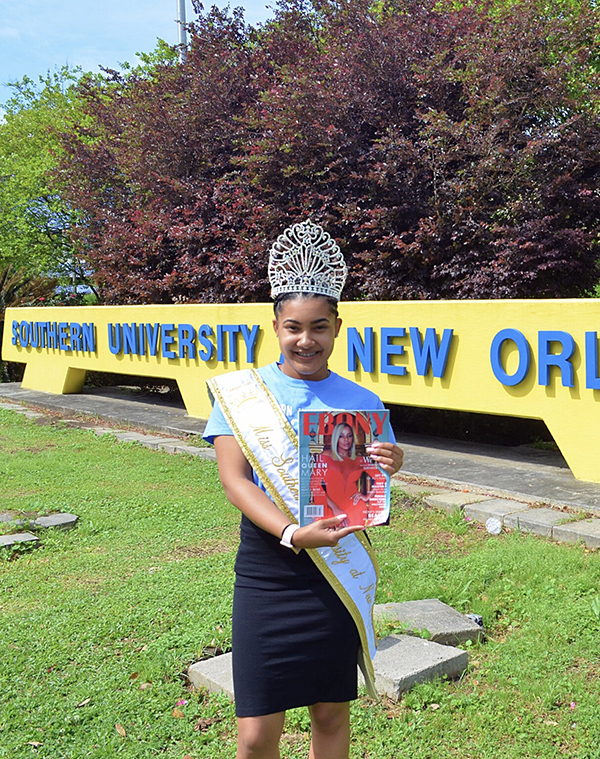 I am exceptionally grateful to Ebony Magazine for granting me the opportunity to utilize their nationwide platform to respectfully represent my HBCU as Erinique Little, The 58th Miss Southern University at New Orleans, also known as your Ebony HBCU Campus Queen. Thank you for the chance to see one of my biggest dreams since the beginning of my collegiate career come true. Serving as Miss Spelman College is the honor of my life so I am grateful for the opportunity to share my platform, "That's L.A.W. : Loving - Affirming - Winning," on a larger scale. My one wish from this competition is that black and brown girls from all over the world are inspired and encouraged by the HBCU Campus Queens to go after their wildest dreams. I'd like to thank my family and friends, my Spelman Sisters and those who supported me from afar and voted diligently and daily to secure our spot at the top. Thank you for believing in the beauty of my dreams.